Tetovo (Macedonian: Тетово, [ˈtɛtɔvɔ] ; Albanian: Tetovë/Tetova; is a city in the northwestern part of the Republic of North Macedonia, built on the foothills of Šar Mountain and divided by the Pena River. The municipality of Tetovo covers an area of 1,080 km2 at 468 meters above sea level, with a population of 52,915. The city of Tetovo is the seat of Tetovo Municipality. Serbianisation or Serbianization, also known as Serbification, and Serbisation or Serbization is the spread of Serbian culture, people, and language, either by integration or assimilation. 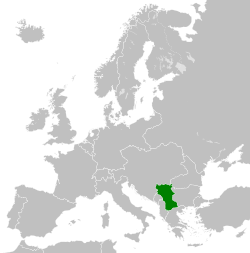 Serbs are one of the constitutional peoples of North Macedonia. Numbering about 36,000 inhabitants, they are based on the medieval populations as well as later relocated or migrated ethnic Serbs. They follow the Serbian Orthodox Church, within the see of the Orthodox Ohrid Archbishopric. Macedonian nationalism is a general grouping of nationalist ideas and concepts among ethnic Macedonians that were first formed in the late 19th century among separatists seeking the autonomy of the region of Macedonia from the Ottoman Empire. The idea evolved during the early 20th century alongside the first expressions of ethnic nationalism among the Slavs of Macedonia. 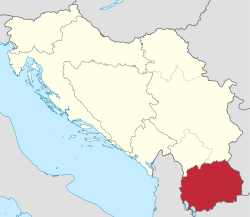 The separate Macedonian nation gained recognition after World War II when the "Socialist Republic of Macedonia" was created as part of Yugoslavia. 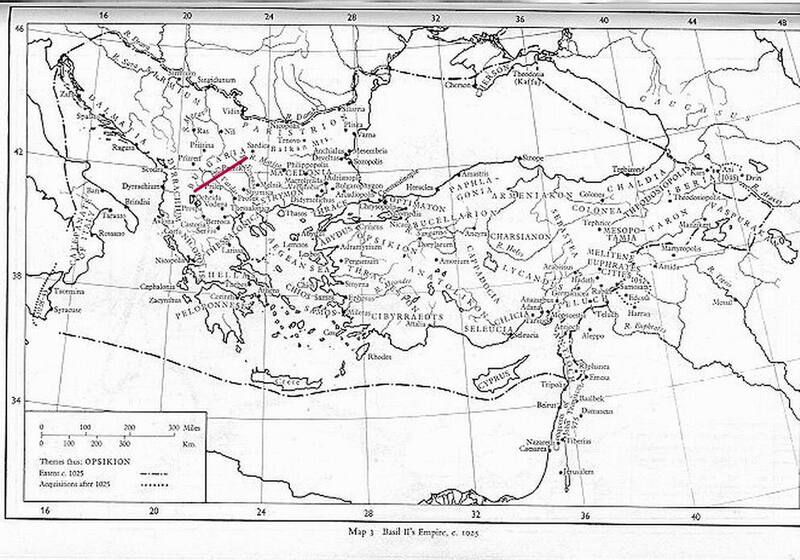 Afterwards the Macedonian historiography has established historical links between the ethnic Macedonians and events and figures from the Middle Ages up to the 20th century. 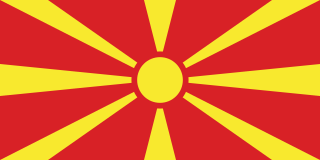 Following the independence of the Republic of Macedonia in the late 20th century, issues of Macedonian national identity have become contested by the country's neighbours, as some adherents to aggressive Macedonian nationalism, called Macedonism, hold more extreme beliefs such as an unbroken continuity between ancient Macedonians, and modern ethnic Macedonians, and views connected to the irredentist concept of a United Macedonia, which involves territorial claims on a large portion of Greece, along with smaller regions of Albania, Bulgaria, and Serbia.